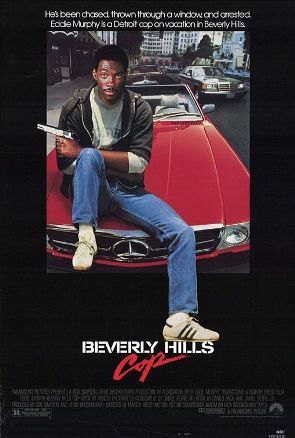 Beverly Hills Cop is a 1984 American action-comedy film directed by Martin Brest and starring Eddie Murphy. Murphy stars as Axel Foley, a street-smart Detroit cop, who heads to Beverly Hills, California to solve the death of his best friend. During his investigation, he finds himself being frequently pursued by Beverly Hills police. This first film in the Beverly Hills Cop series shot Murphy to international stardom, won the People's Choice Award for Favorite Motion Picture, and was nominated for a Golden Globe Award for Best Motion Picture - Comedy/Musical (1985). It earned an estimated US$234 million at the box office, narrowly making it the biggest hit of 1984 (ahead of Ghostbusters).